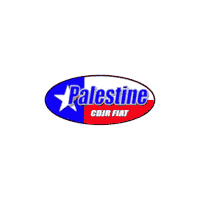 Thank you for choosing Elliott Chrysler Dodge Jeep Ram Fiat Palestine in beautiful Palestine, TX. We are glad you are here and want to take a moment to introduce ourselves. We are so honored you have selected Elliott Chrysler Dodge Jeep Ram Fiat Palestine as your dealership of choice. We know you have options when it comes to buying your next car, truck, or SUV so thank you! We do not take this privilege lightly and we promise we will not disappoint you. Let us take a few minutes to introduce ourselves to you. We offer our customers a state of the art facility with a great team of employees to serve you. We feature state of the art technology in our sales department and our service department to give our employees the tools to give you the customer service that you deserve. Our service center is packed with the tools and equipment our team needs to ensure your vehicle is well maintained and serviced so it can keep you going for years to come. We want your visit to be comfortable and hassle-free so you have an experience that exceeds your expectations every time you are here. Let us know how we can make your experience the best one yet when you come into Elliott Chrysler Dodge Jeep Ram Fiat Palestine today. We have an excellent team of experienced professionals to serve you. Our sales team is here to navigate you through the car buying process to make it easier while answering all of your questions along the way. They will help you find your dream vehicle at a great price. We have a staff of financial experts that can help you investigate options for a loan or lease on your dream vehicle. Our service department is packed with educated technicians that are here to take care of your vehicle when it needs to be repaired and maintained and our parts team is here to help you find the genuine OEM parts and accessories you are looking for. How can we serve you? At Elliott Chrysler Dodge Jeep Ram Fiat Palestine, we offer you a great selection of vehicles from multiple brands under one roof for a convenient shopping experience. We list all of our available inventory online for you to view from the comfort and convenience of your very own home, or you can come see them in person if you prefer. We are proud to offer you great every day low prices and even have sales events from time to time to save you even more. Be sure to check out our specials page to see how you can get the best deal around. We even have tools on our website to help you shop like a payment calculator and Kelly Blue Book. If you don’t see the vehicle you are looking for, you can fill out our CarFinder tool and we will even search for you. We believe that you are the most important part of our business. We know that it is our customers that have made us successful and we will work hard to ensure that we do everything to serve you while making your dreams of buying your next vehicle come true. We will go the extra mile to serve you and exceed your expectations. We want you to have a hassle-free car buying experience when you visit our store. We are here to help you along the way so please let us know what we can do for you. We are available to answer your questions online, by phone, and of course, in person. Elliott Chrysler Dodge Jeep Ram Fiat Palestine	31.787145, -95.6208522.